Al comes to us from Raleigh, NC. 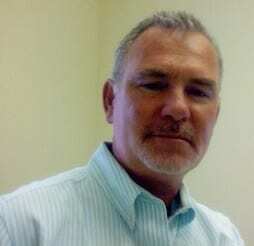 He has a long career in service, recently managing commercial real-estate sales for business clients. Prior to that experience, Al managed relationships with vendors, employees and customers as General Manager of a successful manufactured homes company. Al holds an AAS degree in computer programming and he is fortunate to be married to the lovely and talented Cathy who shares with him five children and, occasionally, their ten grandchildren. Al is an angler, loves shooting pool and is an avid golfer. Al is also an Army veteran, having served in the mechanized infantry. We hope one day to settle the debate over Infantry or Green Berets superiority with Arvan and Al over a round of golf and generous libations on the 19th green.